Readers shopping for a 13" MacBook Air this week can not only save over 50% off AppleCare —yielding the lowest prices anywhere for all available configurations with Apple's extended protection plans —but also grab a free Apple Super Drive, free shipping and no sales tax in 48 states with each other. Apple authorized reseller Adorama is exclusively offering AppleInsider readers the lowest prices anywhere on Apple's current 13" MacBook Airs bundled with 3 full years of AppleCare, and then it's throwing in an official Apple Super Drive ($79 value) with each order absolutely free. What's more, each bundle also ships free and Adorama won't collect sales tax on your order if you ship it outside NY and NJ. 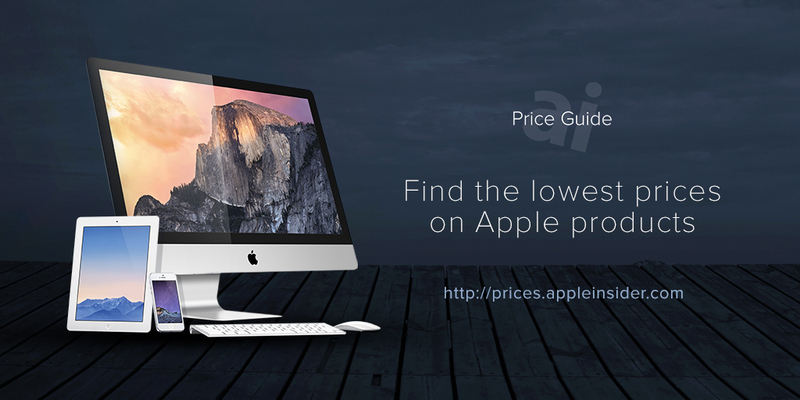 To take advantage of this offer, use the exclusive Adorama pricing links below (or those our Macs with AppleCare Price Guides) along with promo code APINSIDER and follow step-by-step instructions below. Below are the 13" MacBook Airs with a free Apple Super Drive and at least 50% off AppleCare when using our exclusive links and promo code. Among these are both of Apple's standard and most popular configurations of the 13" MacBook Air. The discounts listed in red are the discounts for the 13" MacBook Air with AppleCare when compared to Apple's pricing. It does not include the discount for the free Apple Super Drive ($79 value) or any tax incentives, which are additional savings. In total, most shoppers realize a net savings of between $300 and $360 when compared to purchasing these same bundles at an Apple Store a full price with tax. % Price after promo code APINSIDER when following the instructions below. 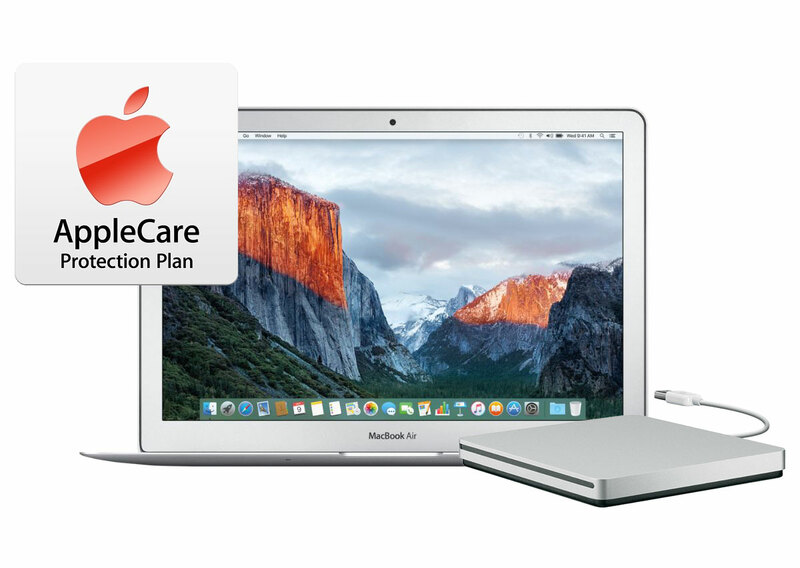 If you're not interested in AppleCare and instead are just looking for the lowest net price on the MacBook Air itself, the same APINSIDER promo code will knock an additional $50 off Adorama's already reduced pricing on all Early 2015 13" MacBook Airs. Simply follow the same set of instructions below, but click through the Adorama pricing links in our regular Mac Price Guide during step 3. 1)Make sure you're using a browser with cookies enabled that isn't in private mode. 2) This deal requires that you be an existing Adorama customer. If you haven't purchased something from Adorama before, making a quick purchase for something else you may need (like a $0.99 lens cleaning package with free in store pickup) should do the trick. You should then be logged in as an existing Adorama customer that can take advantage of this exclusive Mac deal. 3) Once logged in, select your Mac with AppleCare bundle by clicking one of the bundle pricing links in the article above (or those in the Macs with AppleCare Price Guides) —you must use these links and you must click directly through them before adding the Mac to your cart or the coupon won't work. You cannot save the link for later, it will not work. You cannot combine it with a cash back site, it will not work. 4) When the Mac product page loads at Adorama, you'll see a price that's much higher than advertised (we'll fix that in a moment). 5) Add the Mac to your cart anyway, and when you're done shopping, begin the checkout process. 7) After you apply the promo code, the total price should fall to match the prices advertised. Now check out and complete your order. 8) That's it. If you live outside NY & NJ Adorama will also not collect sales tax on your order. See if there is a Mac, iPad, AppleWatch or Certified Used iPhone deal that will save you $100s by checking out prices.appleinsider.com and deals.appleinsider.com.